Each year, Pennsbury High School East in Fairless Hills, Bucks County puts on the 'Best Prom in America'. From the elaborate themes and decorations to the top notch, national musical entertainment, it is easy to see why this Senior Prom tops many lists. In the past they've booked John Mayer, Metro Station, and Asher Roth. This year's theme is 'Yo Philly.' The decorations include the Philadelphia Art Musuem, Flower Show, Magic Gardens, and Love Statue. 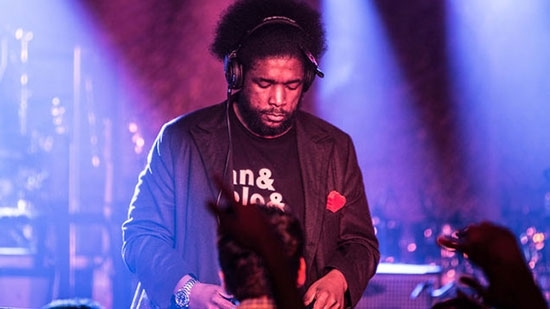 The student committee had booked Philly native Amir 'Questlove' Thompson of The Roots and 'The Tonight Show with Jimmy Fallon' to DJ the event. On Thursday, Questlove notified the school he had a scheduling conflict/emergency and had to cancel. The entertainer got a lot of flack on Twitter for the last minute cancelation. Luckily for the ‪#BestPromInAmerica, Questlove was able to rearrange 'some things' and will make it to the prom on Saturday night. He sent out a few tweets on Friday morning re-confirming his attendence. A judge in Minnesota has determined that Prince's heirs include his sister and five half-siblings. His estate, worth hundreds of millions, will go to Omarr Baker, Alfred Jackson, Sharon Nelson, Norrine Nelson, John R. Nelson, and Tyka Nelson. Prince Rogers Nelson died in April 2016 of an accidental self-administered fentanyl overdose. He was 57. Prince did not have a will at the time of his death. More than 45 people came forward as potential heirs to the estate claiming to be some sort of relative. District Court Judge Kevin Eide's ruling allows those denied heir status one year to appeal. Also, the six confirmed heirs will have to wait one year to claim their share of the $200 million estate. See the ruling here.